I think azriver is referencing the original law that was passed. The original law is dead and buried. Ruled unconstitutional by a federal judge. i am going to go you one better, law enforcement officers around the country generally do an excellent job. there are a few bad apples in the bunch, and they are usually weeded out on a regular basis. and i whole heartedly agree that LEO's should be applauded for the work they do. in fact the few times i have been stopped by LEO's over the years, i always thanked them for doing their job, even when they gave me a ticket. i have only run across one cop that was a real jacka$$ in 35 years of driving around the country. No, I'm harboring an illegal alien. Seriously? Are you seriously calling me a liar? Stunning. Yeah, right. 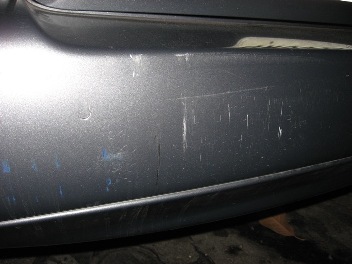 Tell me that if your spouse came home and told you they'd been rear-ended and then asked to prove their citizenship by the b!tC# who did this to your car you wouldn't be pissed. LMAO! Just like one of you guys to side with the jackwad who hit my car and could have seriously injured my husband, and then had the temerity to actually add insult to injury. Freaking rightwingers. And for all those spewing how this has nothing to do with the recent brew-ha-ha in Arizona, how come no one has ever thought to ask my husband for his Green Card in the 8 1/2 years before Obergefreiter Brewer stirred up the "Papers Please" outrage? Funny that. Who the hell called the police racists or Natzis? How can you have missed that this was a civilian who rear-ended my husband, then had the unmitigated gall to ask him to prove his citizenship to her? So its just Jan Brewer? That lady who asked for his green card is an idiot, it has nothing to do with SB 1070. You referenced nazis with the show me your papers routine, who would you be speaking of then? Is Brewer out there checking ID's? What do Jan Brewer and "Sieg Heil" have to do with any of this? I don't think that is the way AZ is run but there is an election coming up so if somebody doesn't like her they can vote against her. If they don't live in AZ its tough cookies I guess.